This information was last updated on February 19, 2010. This privacy statement covers the website www.mkmdistribution.com. In order to demonstrate our commitment to your privacy, we have agreed to disclose our information practices. 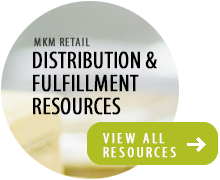 MKM Distribution Services, Inc. is the sole owner of information collected on www.mkmdistribution.com by MKM Distribution Services, Inc. We may collect information from you in several different places on our Web site. We treat all collected information with complete confidentiality. When filling out a registration form of any kind, you will have the ability to ‘opt-out’ of having your information used for purposes not directly related to our site. For example, our registration form has an ‘opt-out’ mechanism to allow information to be sent via mail instead of sending it electronically. Should you no longer wish to receive our newsletter and promotional communications, you may use the opt-out link in our email or contact us.